We just returned from a journey to the internet thanks to The Void at Disney Springs. 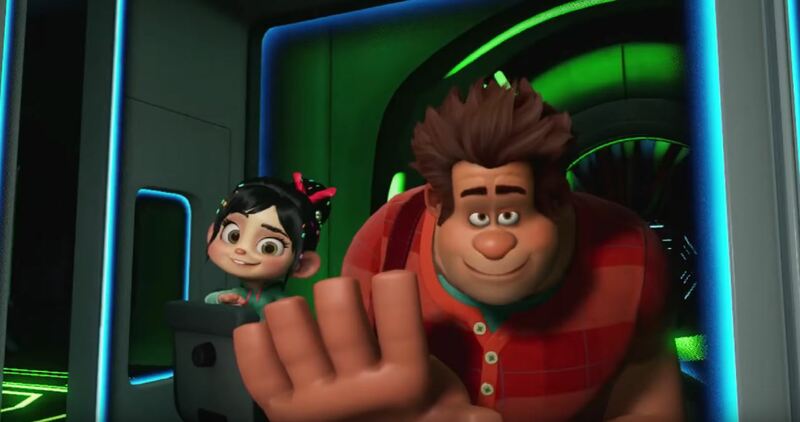 Our tour guides (and partners in crime), were none other than Ralph and Vanellope from the newly released sequel to Wreck-It Ralph – Ralph Breaks the Internet. 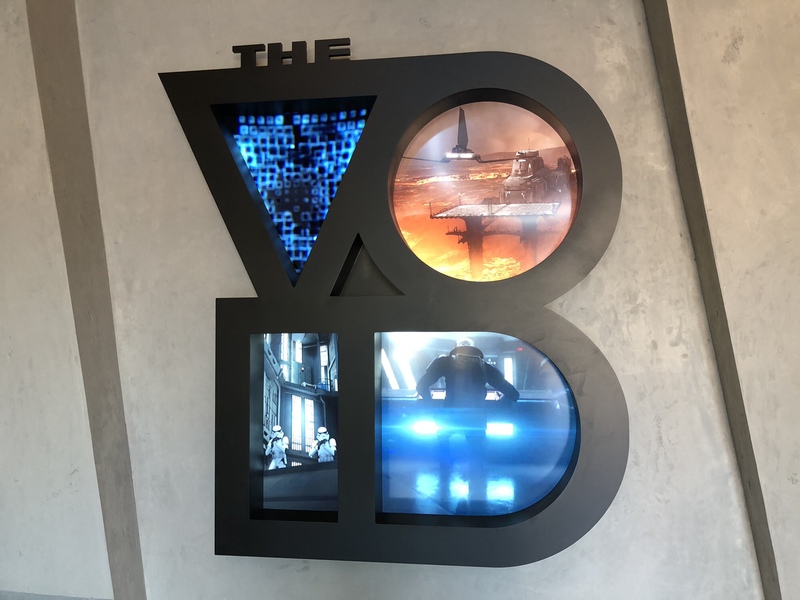 If The Void sounds familiar to you, it’s likely because they are the same company that brought us the amazing virtual reality experience Star Wars: Secrets of the Empire. In this review, I’m going to speak in generalities at first and then get a little bit spoiler-ish towards the end. 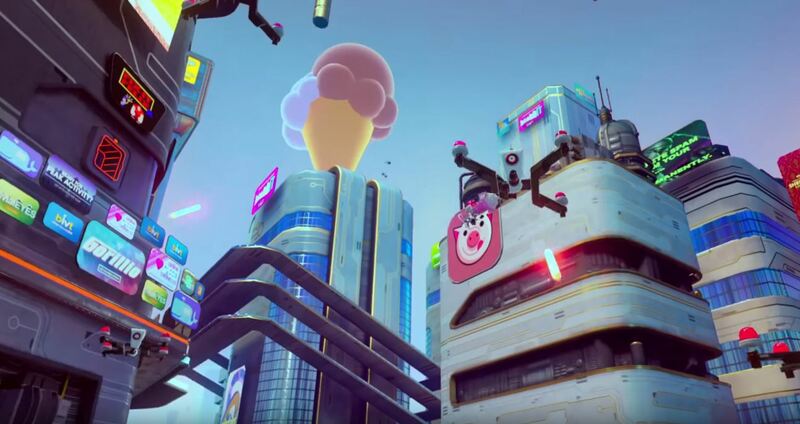 First, let’s go over the premise of Ralph Breaks VR and some of the ways it is different from Star Wars: Secrets of the Empire. Whereas Star Wars: Secrets of the Empire was an experience more geared towards adults and Star Wars fans, Ralph Breaks VR is a decidedly family experience. Note that even though its a more family experience, Ralph Breaks VR carries the same 48″ and 10-year old minimum requirements as Star Wars. Gone are the stormtroopers and the lava rivers of Mustafar. They’re replaced with pancakes and the skyscraper world of the internet. 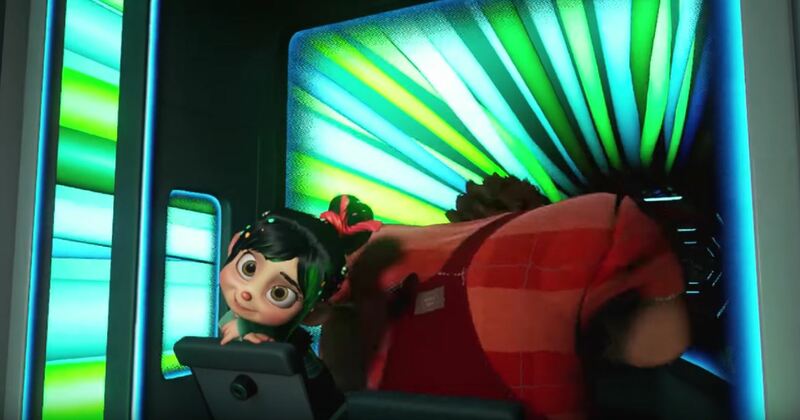 If you haven’t seen Ralph Breaks the Internet yet (we haven’t), it’s all about Ralph and Vanellope discovering the vast worlds and corners of the internet. With Ralph Breaks VR, you’re invited to join them on an adventure. Whereas the Star Wars experience was more story-driven, Ralph Breaks VR is more of a game-driven experience. We’ll offer our summary here before jumping into the spoiler-ish details below. 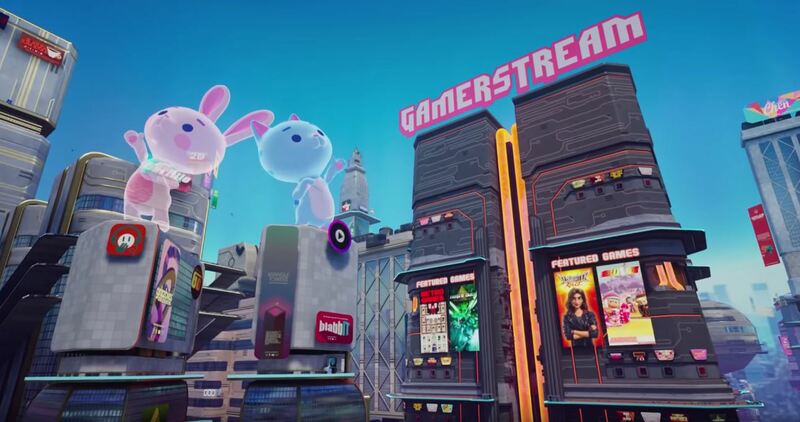 Ralph Breaks VR takes what was an amazing, immersive, niche experience in Secrets of the Empire, and makes it more accessible and family-friendly. 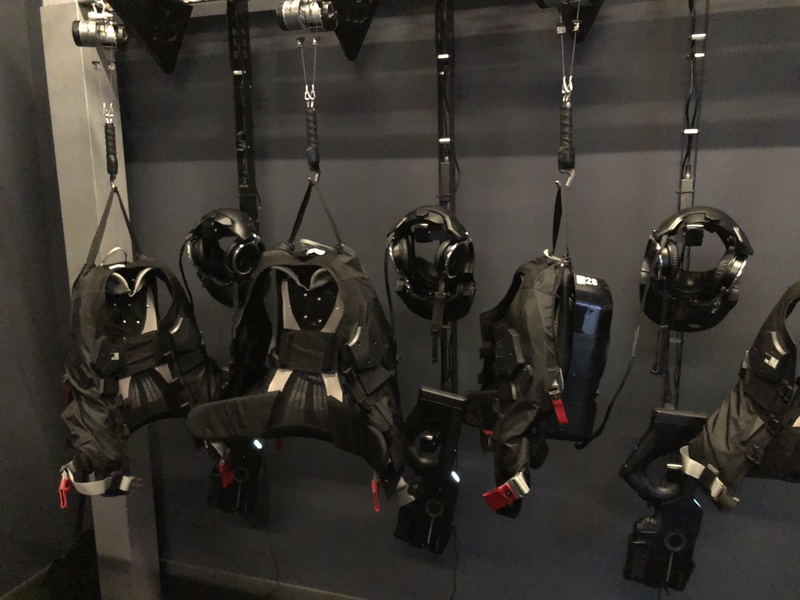 With physical, tactile experiences in a virtual world, The Void continues to earn the “hyper-reality” description and is worth visiting on your next trip to Disney Springs. 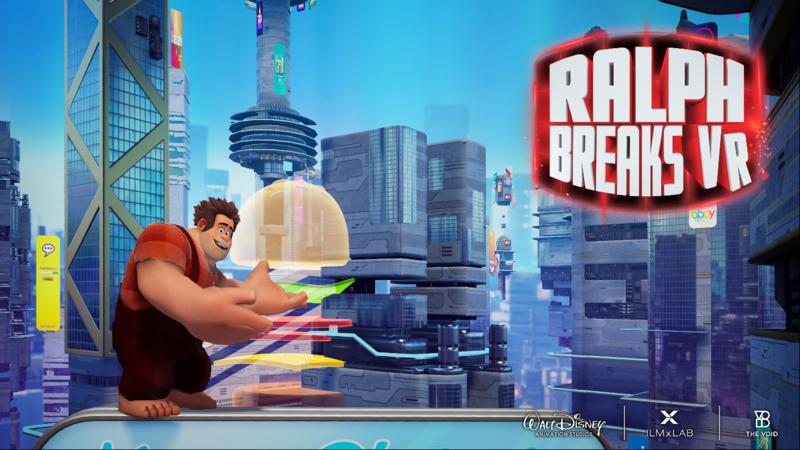 Our review continues below with a more in-depth description of Ralph Breaks VR. 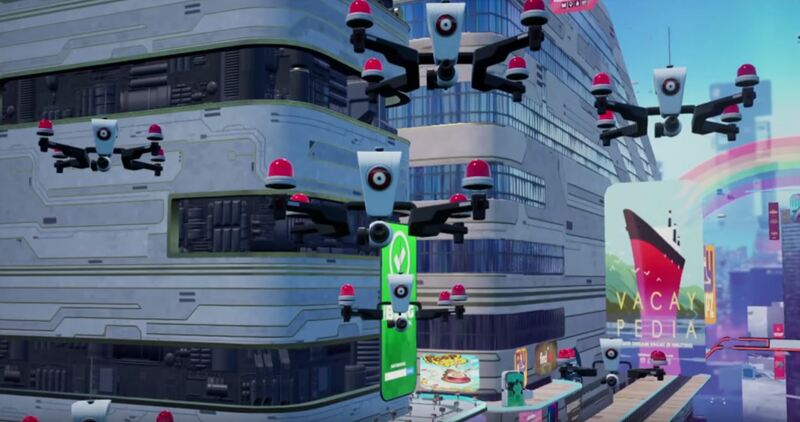 Tron-like scenery, a Space Invaders-style game, Pancakes and Milkshakes, attack drones, and “Leeeeeeroy Jenkins” are just some of the aspects of Ralph Breaks VR. Ralph Breaks VR is a game, it’s not a storyline or something that you have to have a working knowledge of the source material to enjoy. Just like Secrets of the Empire, you’re going to strap into a vest and headgear to enter the internet. Vanellope von Schweetz and Ralph greet you for a quick briefing before you choose your internet character, and then it’s off to the internet! I’ve always loved the first few seconds of the VR experience at The Void, where you’re thrust into a virtual world with little knowledge of what lies ahead. To enter the internet in Ralph Breaks VR, the small room that you start in becomes a virtual space made up of 1’s and 0’s almost straight out of The Matrix. A second later and the people you were standing in front of are suddenly the virtual characters that you choose 5 minutes earlier. Ralph and Vanellope are in the driver’s seat of our transport vehicle to the internet and a short hyperspace like blast through ethernet cables later leads us to a scanning room to enter the internet. Of course, if everything went smoothly it wouldn’t be any fun! Before you even enter the internet, a scan reveals that you shouldn’t be there. You’re immediately thrown into a game where you have to touch physical points on the glass of your vehicle to overload the system by creating a power surge. 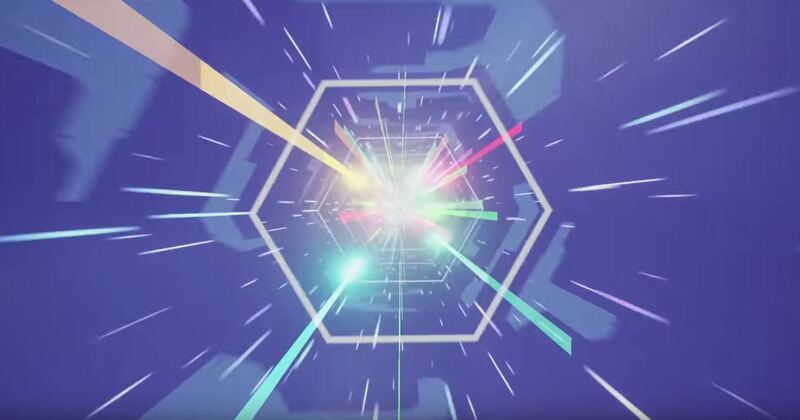 It’s the first of many games that will have you will play in the virtual world of the internet. To override the system, you have to hit the correct rings to create a power surge. If you hit the wrong power ring, your vest vibrates to simulate a shock. It’s fun, believable, action-packed, and we haven’t even made it into the internet yet! After overloading the system, Ralph takes us to GamerStream where we get to play his favorite game, DunderDome. 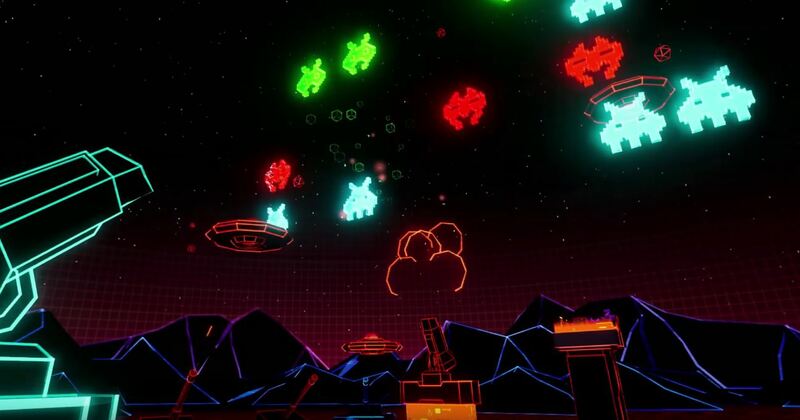 It’s a Space Invaders-style game that’s set in a Tron-like arena. Your party of four is asked to split up into two vehicles that separate in the huge arena. Even though you’re physically standing a few feet apart, the immersion is so real that we found ourselves waiving to our new friends standing hundreds of yards away in the vast arena. Everyone has a role to play in the game and after a quick description of the controls your in the middle of a 360 degree video game. 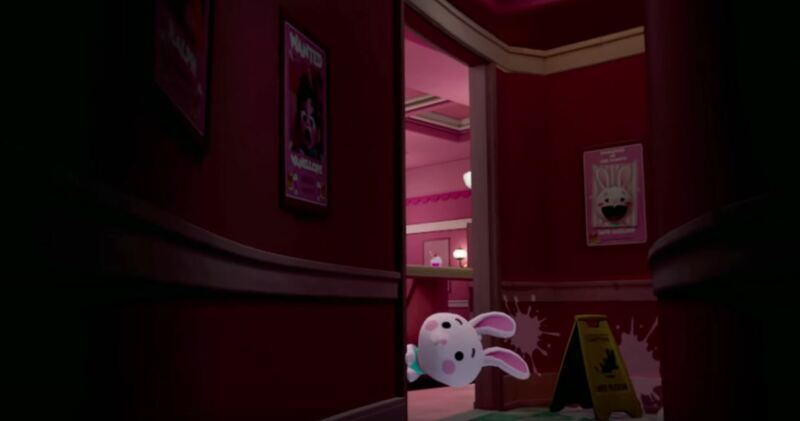 Just like Secrets of the Empire before it, Ralph Breaks VR creates an experience unlike any other. One that places you into a setting from a movie, or in this case video game, that you would never have been able to travel to before. Back to the task at hand. As you start to clear the game by blowing up the Space Invader-like aliens, your point totals start to increase on a huge scoreboard. Want to check your score quickly and easily during the 20 minute experience? Just hold your wrist in front of your body like you’re checking the time and your blue or yellow arm shows up in front of you with your ranking on a tablet-like watch as it relates to the other guests in your group. It’s a simple effect, but it’s executed so well that I found myself smiling every time I checked my score (140,000 by the time it was all said and done, good enough for second place in our group). Just like any scene with Ralph in it, things don’t exactly go to plan and he falls through the gameboard and it’s up to you to find and save him. We’re tasked by Vanellope to walk through virtual spaces to find props to help us save Ralph. One of our favorite aspects of Secrets of the Empire was that we were required to carry physical guns to blast stormtroopers. 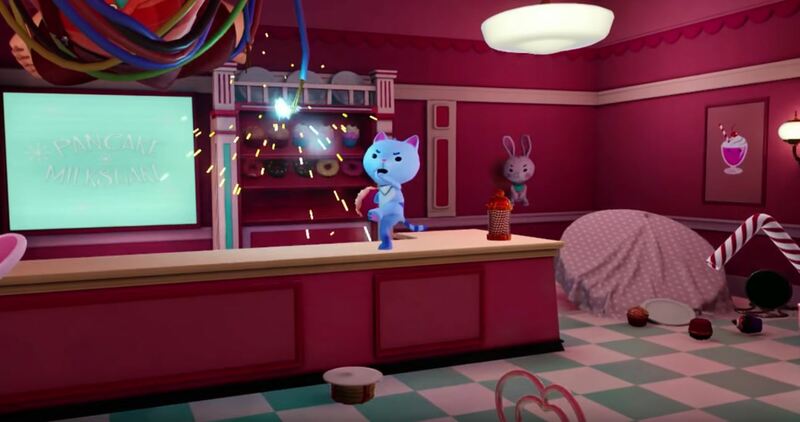 Of course, in Ralph Breaks VR you’ll still find the guns about halfway through the experience, but this time you’ll be shooting pancakes or milkshakes to combat a rabbit infestation. It’s not just your senses of touch or sound that are engaged in this massive food fight, but also your sense of smell. As pancakes and milkshakes are flying through the air, a delicious aroma fills the room. It’s another example of how The Void creates a fully believable experience. After scoring more points by feeding the rabbits via your treat-slinging guns, it’s time to take down some attack drones. Through another doorway and you find yourself on the ledge of one of the many internet skyscrapers, ready to shoot down some drones. The environment comes alive here too, as wind is blown in your direction each time a fleet of drones approaches. Eventually your battle with the drones comes to a climax with Vanellope von Schweetz bellowing out the internet-famous line of “Leeeeeeroy Jenkins” before her and Ralph are back with the same vehicle that you used to enter the internet. With the last of the drones shot out of the sky and the rabbits properly feed with pancakes and milkshakes, your adventure into the internet concludes as you enter the same Matrix-like room to return to reality. 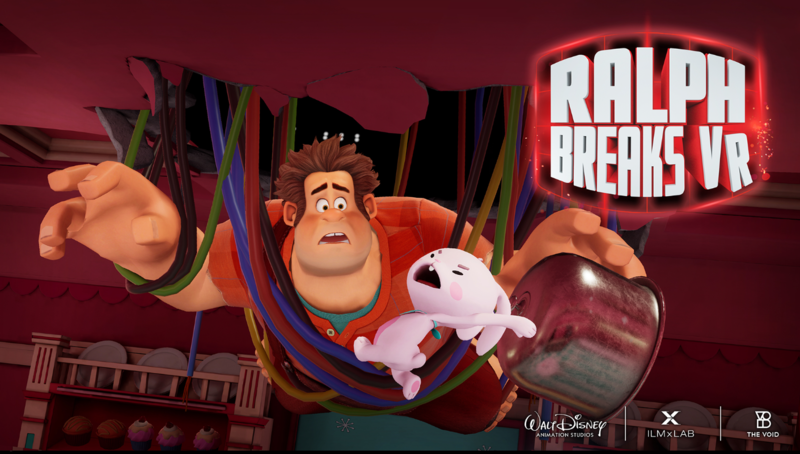 Overall, Ralph Breaks VR is an impressive second installment of a VR experience at The Void in Disney Springs and one that we’re sure we’ll find ourselves bringing our friends and family to in the very near future. If you’re still looking to experience The Force, Star Wars: Secrets of the Empire will continue to be offered alongside Ralph Breaks VR.